The train wreck that is Celebrity Apprentice premiered tonight. 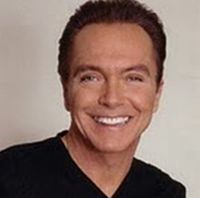 60’s hearthrob David Cassidy was the first to go home. Why? Because Survivor’s Richard Hatch, who should have gone home, bullied him? No, it’s because Richard’s abrasive personality is better for ratings. 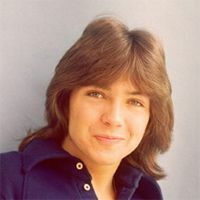 Who has had more plastic surgery, David Cassidy or LaToya Jackson? It’s a toss-up. Gary Busey is looney-tunes. Survivor’s Richard Hatch and Starr Jones have surprisingly similar bossy personalities and inflated opinions of themselves. Marlee Matlin is probably a very nice person, but having her accompanied by a guy who repeats what’s said to and by her in sign language is an unwelcome distraction. I can’t imagine how disjointed the show will be when she’s project manager. Rapper Lil’ John has attitude issues. Jose Canseco sis one of the more likable contestants, but seems to have some nerve-related physical issues. Maybe it was just a shaky camera. Dionne Warwick is inept at even the smallest task, like running a credit card through a machine. She rationalizes “I’m used to buying things with credit cards, not processing them.” Translation: She thinks it’s beneath her. And these, whom I’ve never heard of: John Rich, Mark McGrath, Hope Dworaczyk, NeNe Leakes. There’s only three I’d tune in to watch, and they won’t be the ones to cause the most drama: Meatloaf, David Cassidy and Nikki Taylor. The show begins airing March 6, 2011.